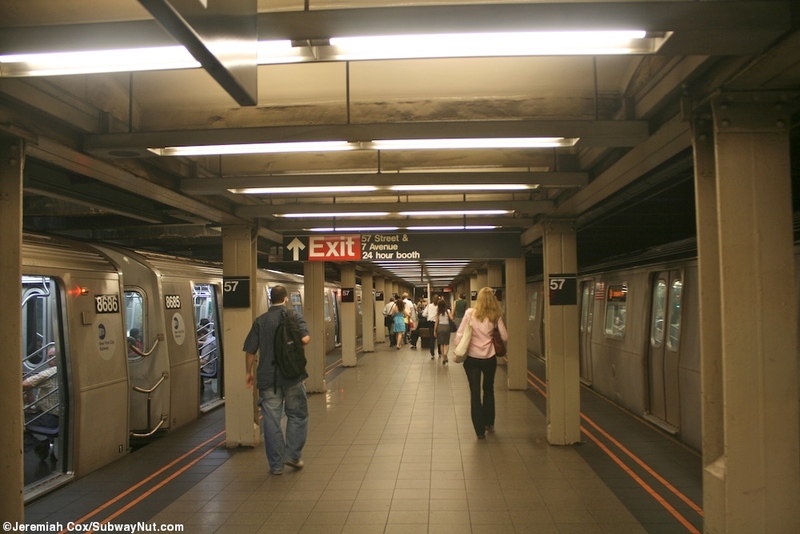 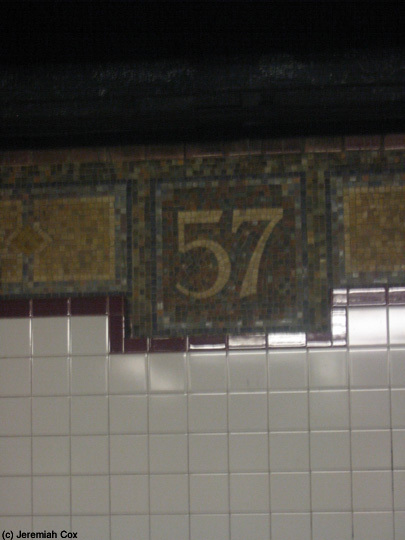 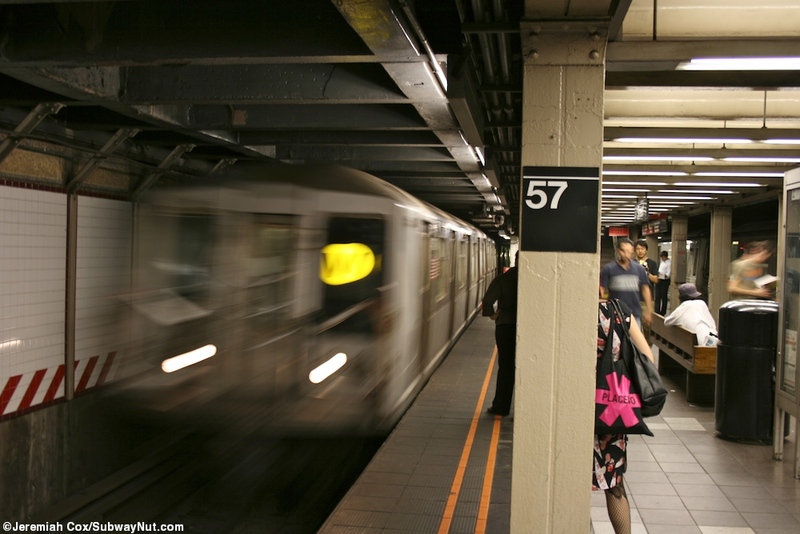 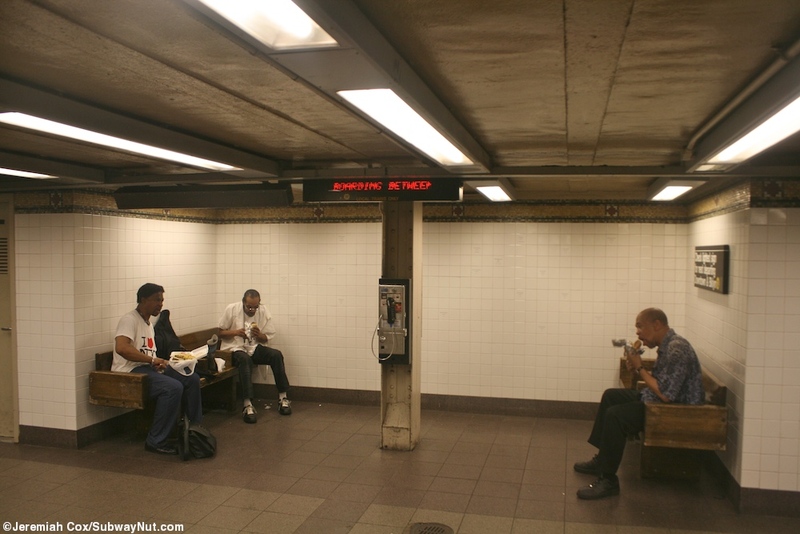 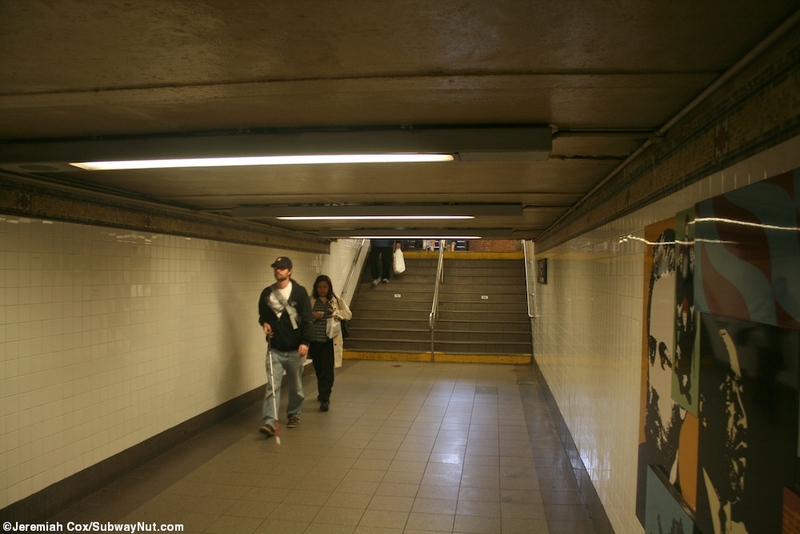 57 Street and 7 Avenue is the terminus of the express tracks of the BMT Broadway Line although they continue beyond the station to also curve beneath Central Park to the 63 Street Tunnel and end inside the Lexington Avenue-63 Street Station. 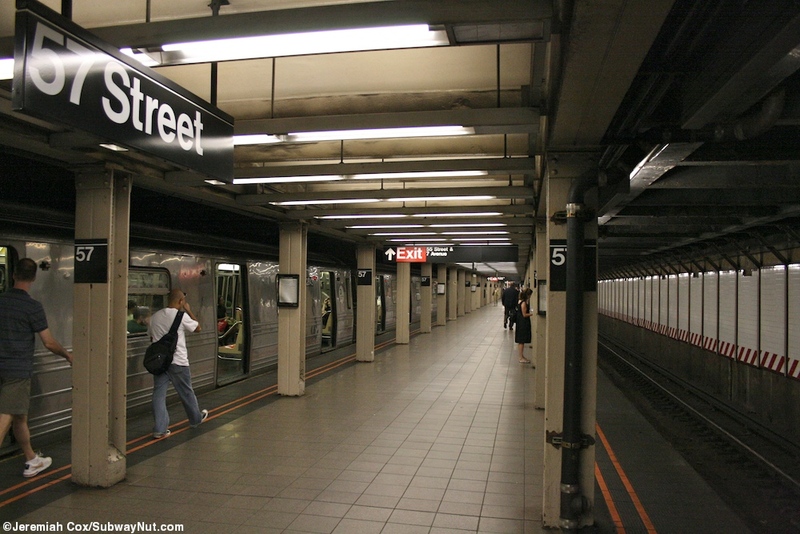 The stop has two platforms for the four track line and requires terminating trains (presently only the Q during late nights and weekends as well as a few rush hour/midday lay-ups) to crossover before entering the station meaning new Q trains entering service can depart from either platform. 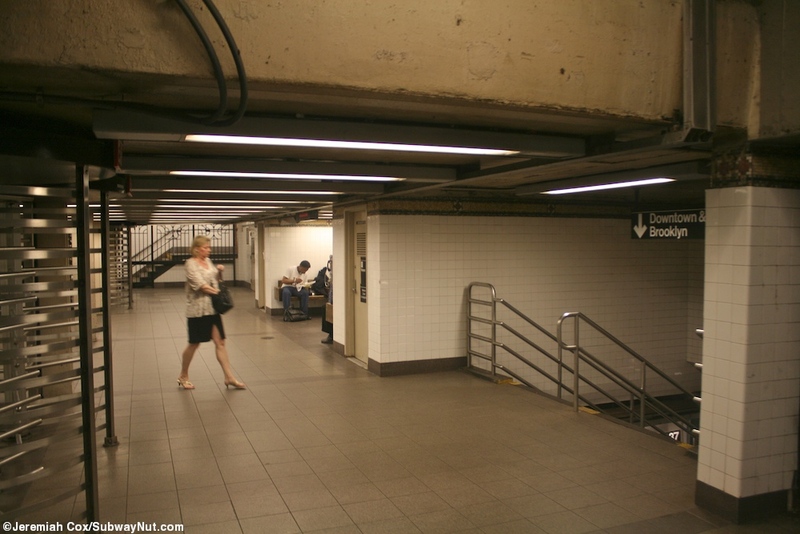 Each mezzanine area has a sign saying the track for the next leaving train from these platforms. 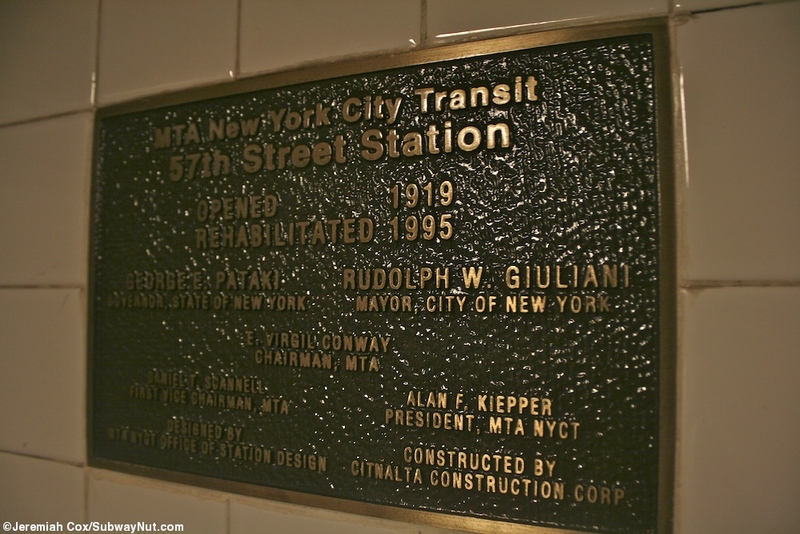 For decorations the station which opened in 1919 and was rehabilitated in 1995 off white painted columns and a hard to see trimline along the local track walls with little 57s inside of it. 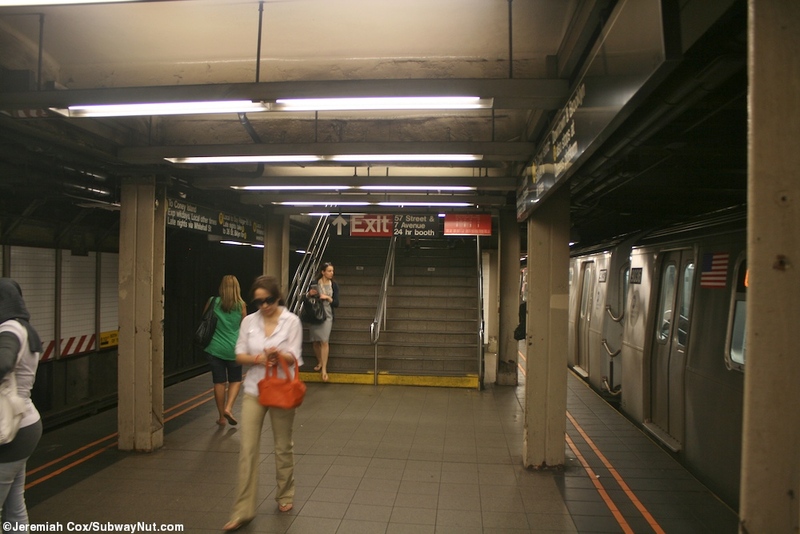 The station has two separate mezzanine areas with fare control. 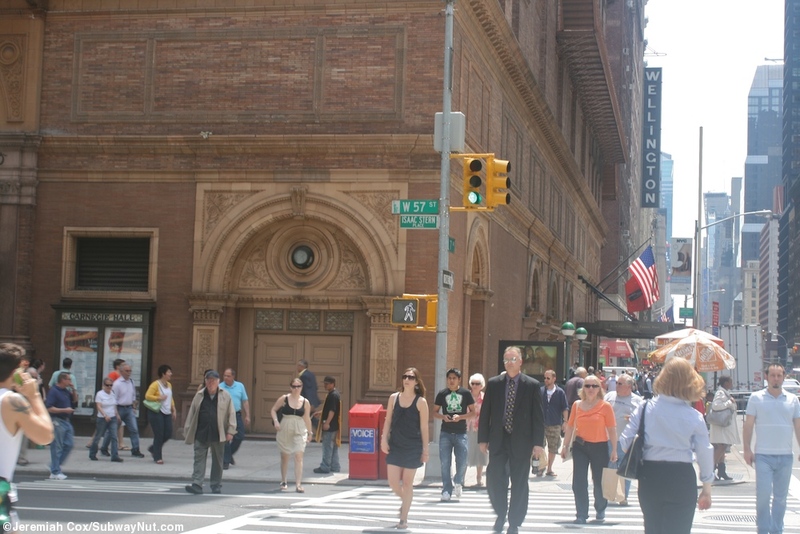 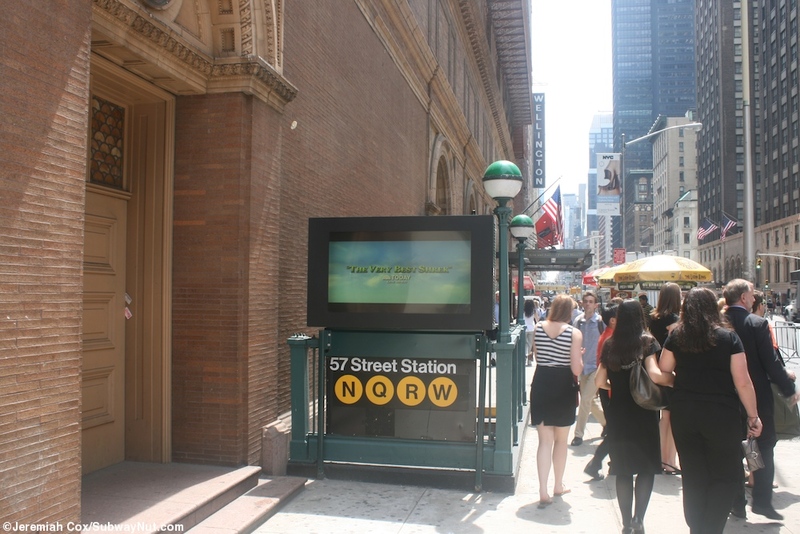 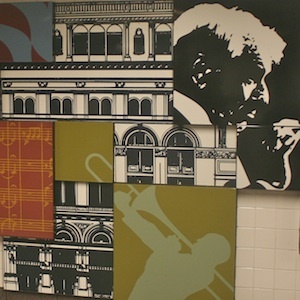 The token booth is at the northern end where a single staircase passes a small waiting area before the turnstiles and a single stair lead out to all 4 corners of 7 Avenue and 57 Street including one in front of Carnegie Hall. 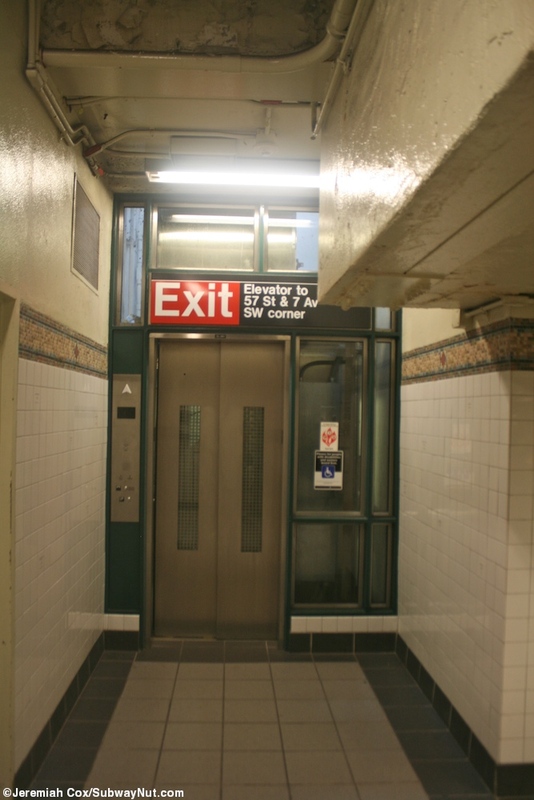 There is also a street elevator to the SW corner although platform elevators have not been added yet. 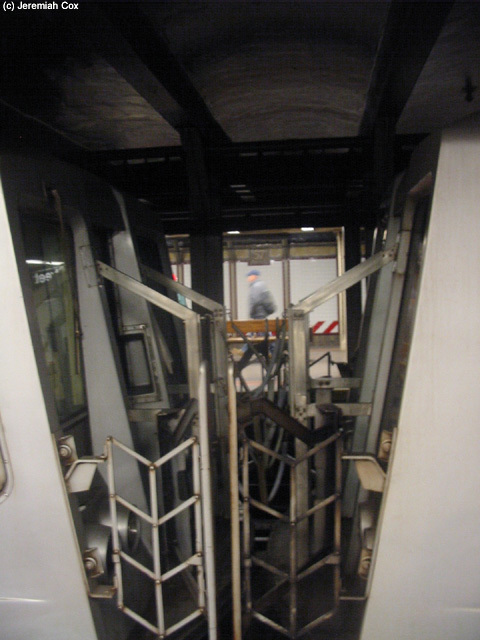 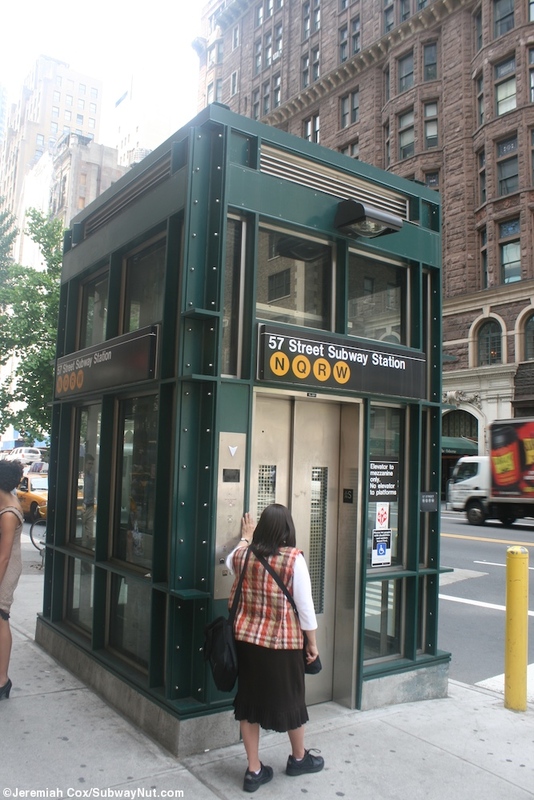 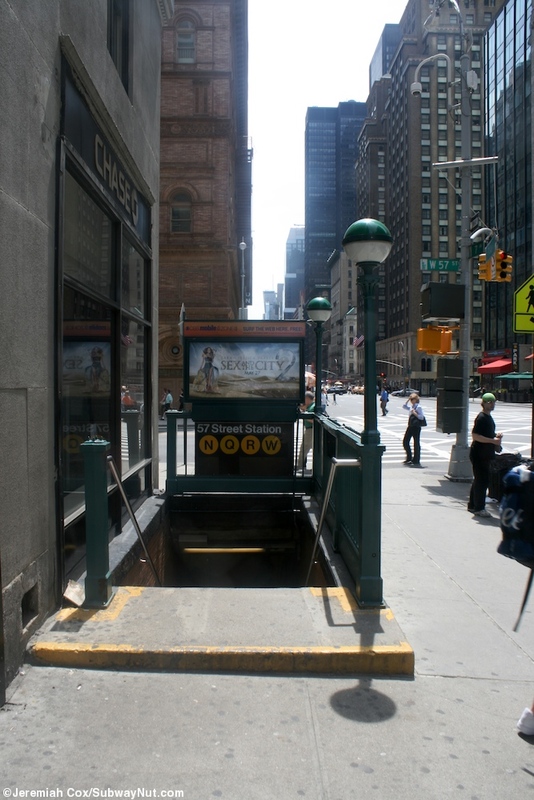 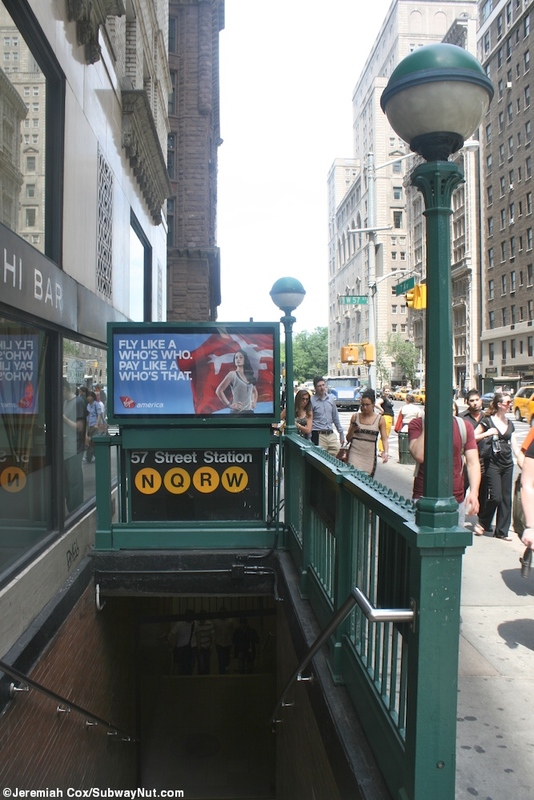 There is a southern secondary entrance where a single staircase up form each platform leads to a unstaffed turnstiles and 4 street stairs, one at each corner of 55 Street and 7 Avenue.